Mike O'Connor was born in 1947 in Warren, Michigan. 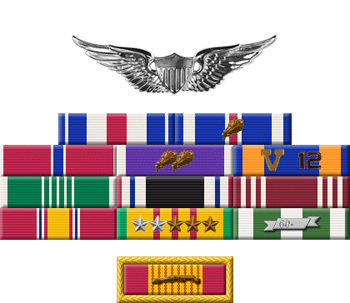 He enlisted in the U.S. Army for Warrant Officer training on July 6, 1966, and was appointed a Warrant Officer and designated an Army Aviator upon completion of helicopter pilot training on June 30, 1967. WO O'Connor then deployed to Southeast Asia where he served as a UH-1 Huey pilot with Battery C, 2nd Battalion, 20th Artillery of the 1st Cavalry Division in South Vietnam from August 1967 until his helicopter was shot down over South Vietnam and he was captured and taken as a Prisoner of War on February 4, 1968. After spending 1,857 days in captivity, CW2 O'Connor was released during Operation Homecoming on March 5, 1973. He was briefly hospitalized to recover from his injuries at Fort Knox, Kentucky, and then left active duty and entered the U.S. Army Reserve on July 20, 1973. CW2 O'Connor joined the Michigan Army National Guard as a UH-1 and OH-58 Kiowa helicopter pilot on February 1, 1974, and left the Guard on August 1, 1975. 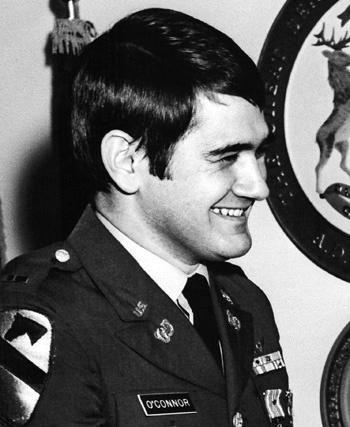 Chief Warrant Officer Michael F. O'Connor distinguished himself by gallantry and intrepidity in action in connection with military operations against an opposing armed force while a Prisoner of War in North Vietnam during February 1972. Ignoring international agreements on treatment of prisoners of war, the enemy resorted to mental and physical cruelties to obtain information, confessions and propaganda materials. Chief Warrant Officer O'Connor resisted their demands by calling upon his deepest inner strengths in a manner which demonstrated great devotion to duty and country in accord with the finest traditions of the military services. 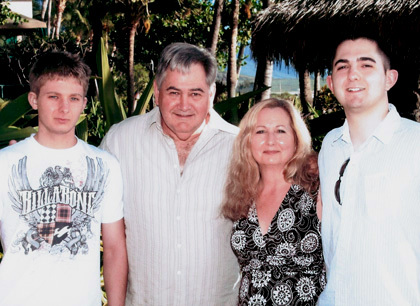 Mike O'Connor with his family in Maui, Hawaii, circa 2009 - Left to Right - son Andy, Mike, wife Dawn, and son Chris.